Nadia is a young Palestinian woman in love with a PLO activist. When he has to flee to England she goes with him. However he ends up deported and she is stranded alone. Given the credentials of a Jewish girl named Maya Nadia returns to Israel where she ends up married to a high ranking Israeli minister. 20 years on Nadia's first love returns and it threatens to shattered her carefully crafted life. Well made and well acted film (even if the actress playing Nadia is much too old to be her younger self) raises a good number of important issues about love, self and the notion of "us and them". This is very much a film about the divided society that is Israel. As an intellectual exercise the film raises any number of questions that anyone looking at a divided society must consider. On the other hand the film wants us to know that it is very much about "something". Its so much about "something" that the film never really connected with me on an emotional level. I found that after a while I disconnected with the film to the point that I stopped caring about any points the film was trying to make. I was so disconnected that even the final image, which should have brought a tear to my eye failed to move me even a little bit. This isn't to say this is a bad film, it is not , rather it's a film that is so finely crafted and so calculating that all the emotion that should move us to do something was gone. Worth a loo if you want food for your head instead of your heart. 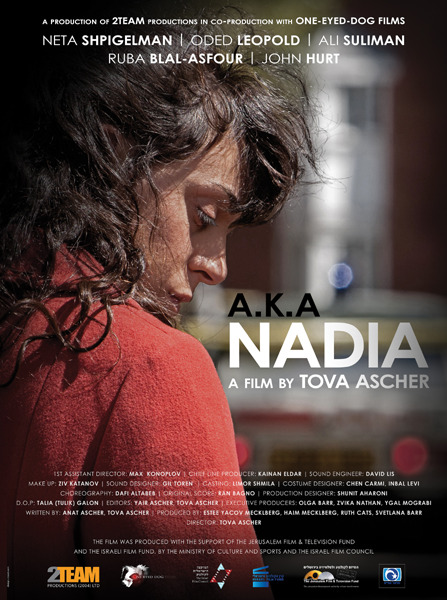 AKA NADIA Plays Monday December 5 at The Other Israel Film Festival. For more Information and tickets go here.